Gently remove surface debris and leave skin with a smooth, healthy complexion with Dermalogica Skin Prep Scrub, a skin-polishing scrub with natural corn cob meal. Ideal for skin with excess oil production, it contains no artificial fragrance or colour. Formulated with finely granulated corn cob meal that gently exfoliates, Dermalogica Skin Prep Scrub polishes skin to create a smooth surface. With mallow and ivy extracts to help soothe and prevent over-stimulation, this gentle formula removes clogging of surface debris, allowing for optimal absorption of treatment ingredients that follow. 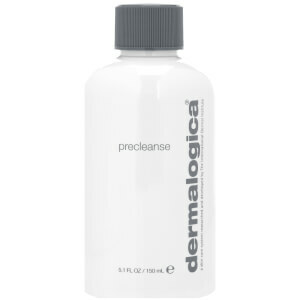 Perform the Dermalogica Double Cleanse that begins with PreCleanse, followed by your prescribed Dermalogica Cleanser. Apply with damp hands to damp face and throat, avoiding the eyes. Massage gently onto face, avoiding eye area. Corn Cob Meal: Gently removes dulling surface debris. Mallow/Ivy/Aloe: Soothes, helps prevent over-stimulation. Cucumber: Keeps skin hydrated and refreshed. 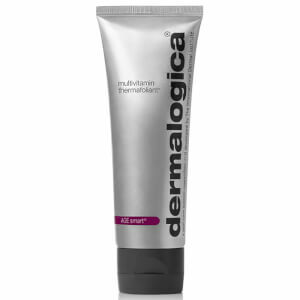 I've been using Dermalogica Skin Prep Scrub for years, and with all Dermalogica products it does a great job, leaving my skin always looking great.